This is not a cartoon!!! 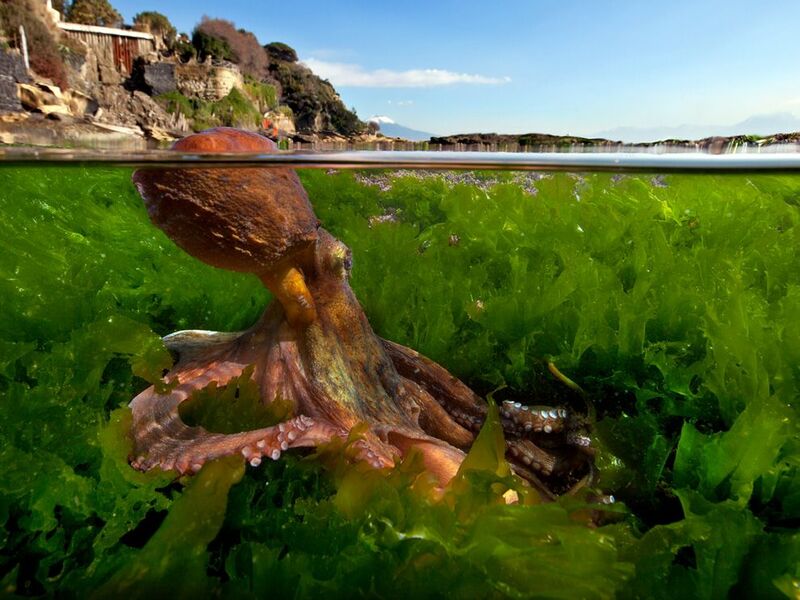 Despite the strong human presence on the Italian coast, an octopus is curious! wow!!! i think i would freak out if i saw this in the water but it is amazingly beautiful on my computer screen! i know its beautiful but OMG if I actually saw it i'd DIE!!! !